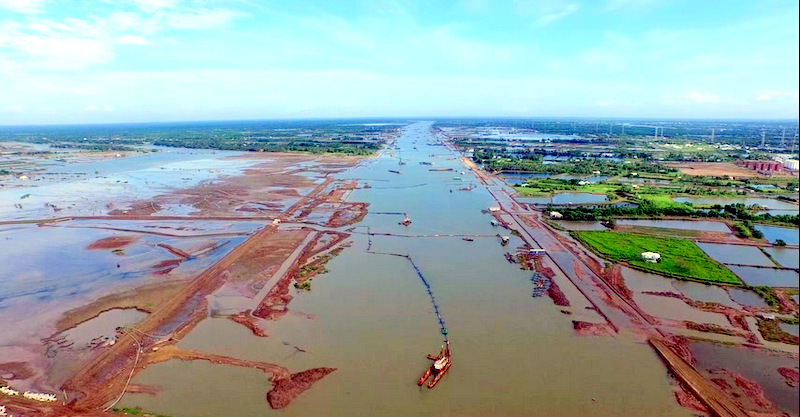 Since our establishment, Khang Giang Co, Ltd has originated our construction business from earth moving works by constructing sea dikes along MeKong Delta provinces. Besides, with dense network of rivers and canals, there are always demand of maintenance dredging in these navigational waterways. To embrance this market we have focused on equipping specialty dredging fleet of cutter suction dredgers. After more than 20 years of establishment, KGCL has diversified our business into other fields of watercourse construction ( bank protection revetment, hydraulic constructional part manufacture, hydraulic gate construction...) but maintained our core business of dredging and reclamation.